Posted on 16, December 2015 by EuropaWire PR Editors | This entry was posted in Real Estate, United Kingdom and tagged CANADA, real estate firm, Real Facilities, Savills Studley. Bookmark the permalink. NEW YORK, 16-12-2015 — /EuropaWire/ — As part of the company’s continued expansion in North America, Savills Studley has acquired Real Facilities, a Toronto-based, full service commercial real estate firm committed exclusively to representing tenants. The newly acquired office (www.savills-studley.ca) will continue to provide tenant representation, transaction management, capital markets, project management and design services to companies across multiple industries, including office, industrial and retail. Stan Krawitz, Founder and President of Real Facilities, will oversee the operations for Savills Studley as Executive Vice President, Founder and Head of Canada. Krawitz will focus on the growth of Savills Studley in Toronto and nationwide, with an emphasis on attracting top-level talent as it expands into other major Canadian markets. 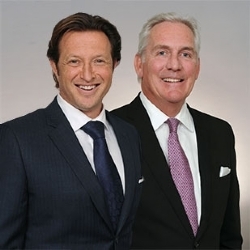 He will work together with Senior Vice President Allen Grinberg, Senior Vice President and Branch Manager of Ontario Ken Norris and Savills Studley President Michael Colacino. Founded in 1954, Savills Studley pioneered the conflict-free business model of exclusively representing tenants in their commercial real estate transactions. The firm is part of London-headquartered Savills plc, the premier global real estate service provider with over 30,000 professionals and more than 600 locations around the world.